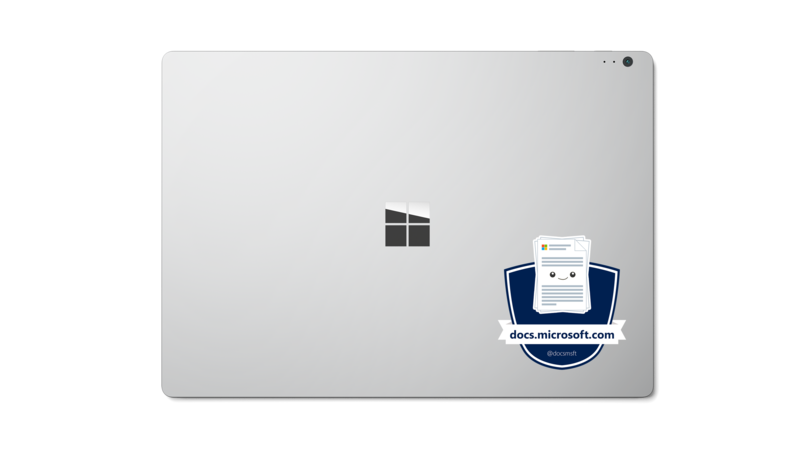 This post was written by Den Delimarsky, Program Manager on the docs.microsoft.com team. Update (January 10, 2018): With a huge community interest in the stickers, we have reached the limit for free requests. We will start mailing them out to eligible parties. It's a new year, and we thought that we would start it by rewarding those that make our work worthwhile - our community and fans. We have designed something that you can carry with you and proudly display your support for technical documentation - our official laptop sticker! For a limited time, we will be delighted to send you, our reader, this very sticker, free of charge (subject to United States of America and Canada shipping restrictions). Simply complete our survey, and we will be in touch shortly.